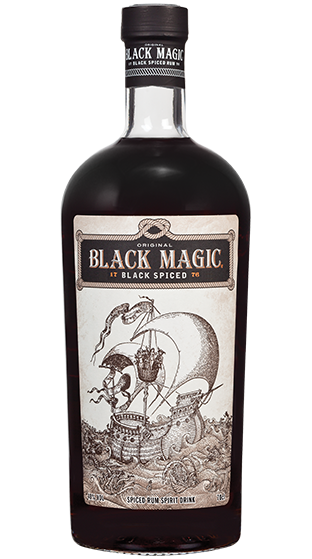 Tasting Note: Black Magic is an imported Carribbean Black Spiced Rum. Black Magic's nose is creamy vanilla followed by brown sugar and mixed spices, notably cinnamon and clove. The taste is sweet cinnamon followed by clove and mixed spices;and it finishes with a sweet, slight oak taste and a lingering blend of brown sugar, vanilla and cloves.